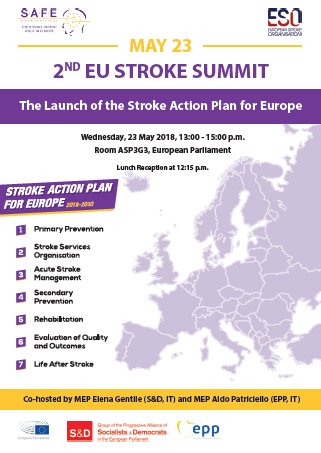 The Stroke Action Plan for Europe 2018-2030 was launched today in the EU Parliament within the 2nd Stroke Summit. 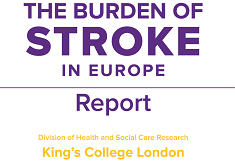 Last year, in May 2017, SAFE launched the Burden of Stroke Report which unveiled shocking disparities between and within European countries along the entire stroke care pathway. 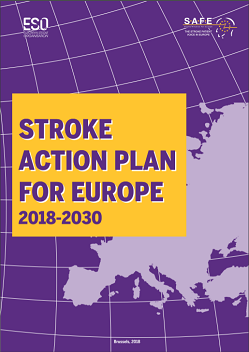 In order to take action, SAFE and the European Stroke Organisation (ESO) decided to formalise their partnership which has led, after extensive consultation and tireless work, to the creation of the Stroke Action Plan for Europe 2018-2030. This document sets important targets covering seven key pillars, from primary prevention to life after stroke. 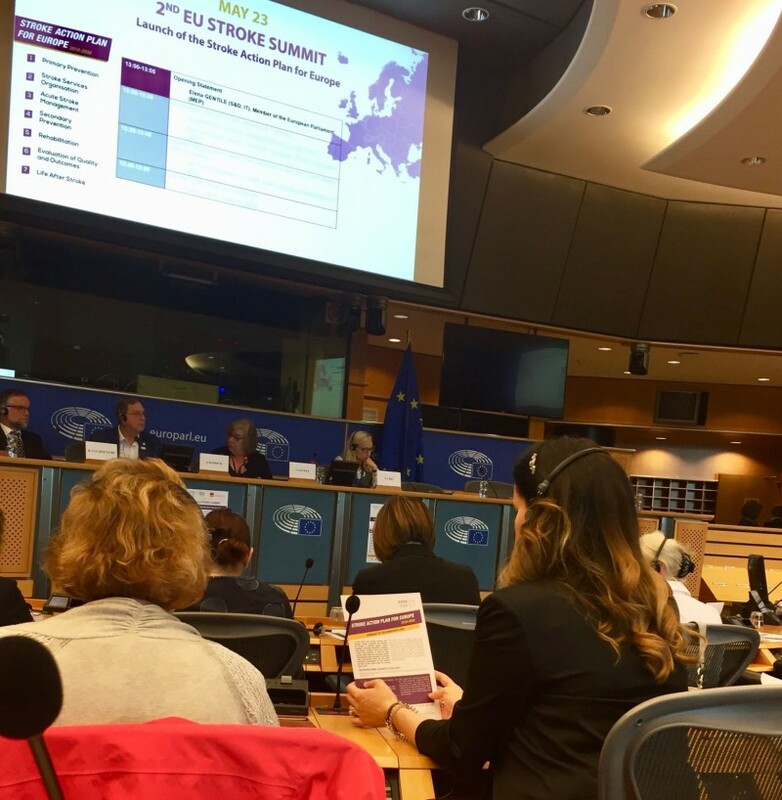 The report was launched today at the 2nd Stroke Summit in the European Parliament in front of around 70 key stakeholders including patients, healthcare professionals and policy-makers. The event was co-hosted by MEP Elena Gentile (S&D, IT), who showed her support to stroke survivors and stroke-related issues across Europe. All the speakers welcomed the Stroke Action Plan and saluted the effort made by SAFE and ESO in making the Stroke Action Plan for Europe possible. It provides a clear road map and outlines recommendations and targets for 2030 so that all relevant stakeholders take action to improve the stroke care pathway and reverse the current trends. Currently, an increase of 34% in the absolute number of strokes is expected by 2035 in Europe, along with a 45% increase in the number of stroke deaths, and a 25% increase in the number of survivors living with the long-lasting effects of stroke. 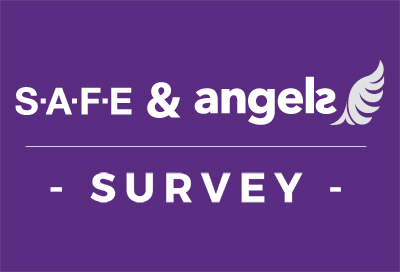 Action needs to be taken to prevent stroke more efficiently, provide timely and adequate treatment and rehabilitation to those who need it, and last but not the least, to improve the lives of stroke survivors and their families across Europe by providing the right level of support in their Life After Stroke. Please see the Agenda of the 2nd Stroke Summit here. You can see all speakers’ biographies on this link. 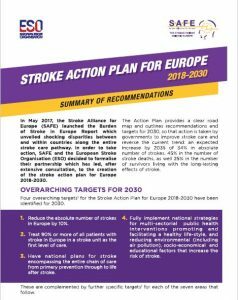 You can download the Stroke Action Plan for Europe 2018-2030 Recommendations by clicking on this image below.